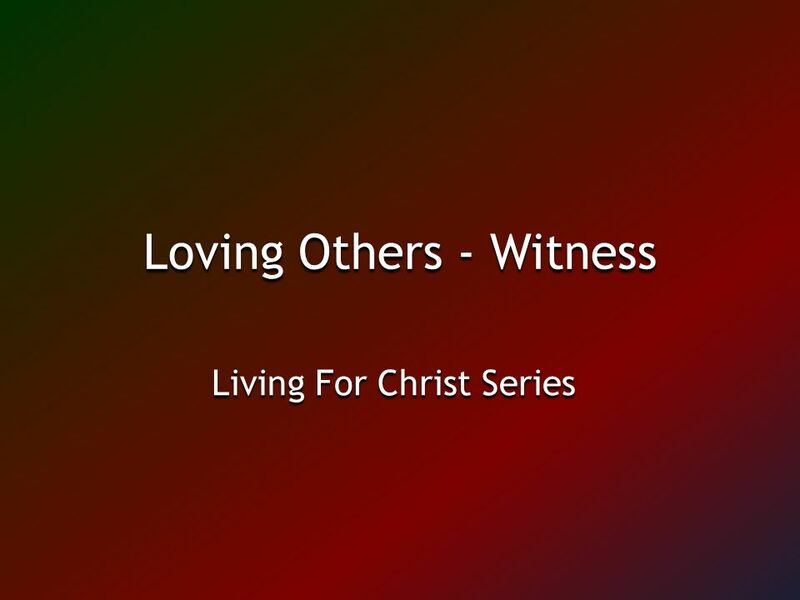 Loving Others - Witness Living For Christ Series. 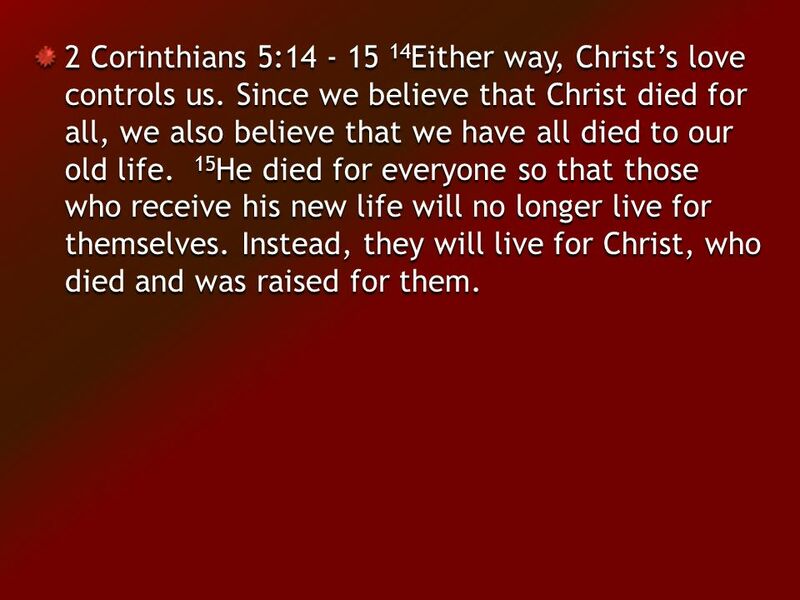 3 2 Corinthians 5:14 - 15 14 Either way, Christ’s love controls us. 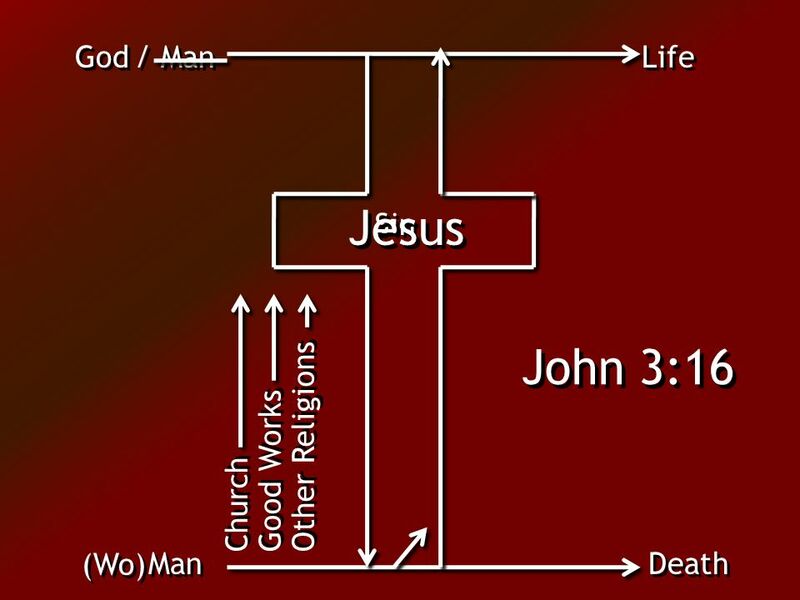 Since we believe that Christ died for all, we also believe that we have all died to our old life. 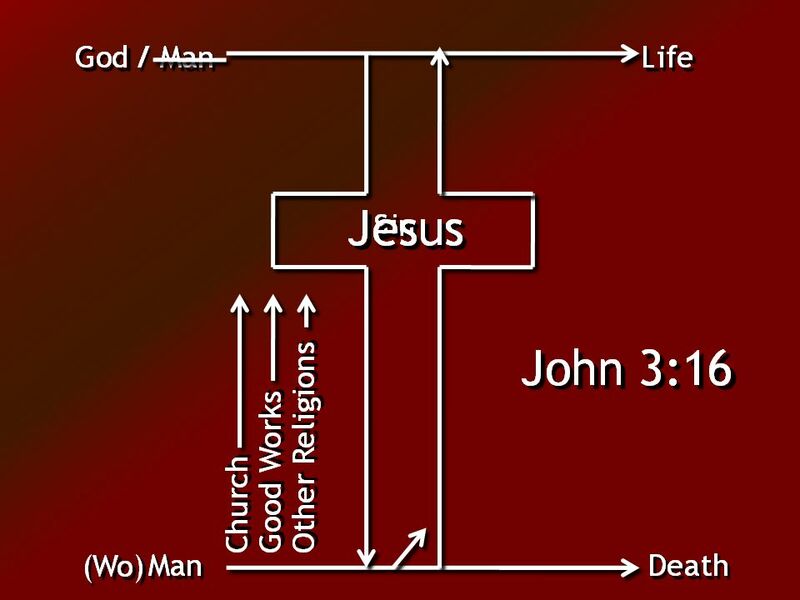 15 He died for everyone so that those who receive his new life will no longer live for themselves. Instead, they will live for Christ, who died and was raised for them. 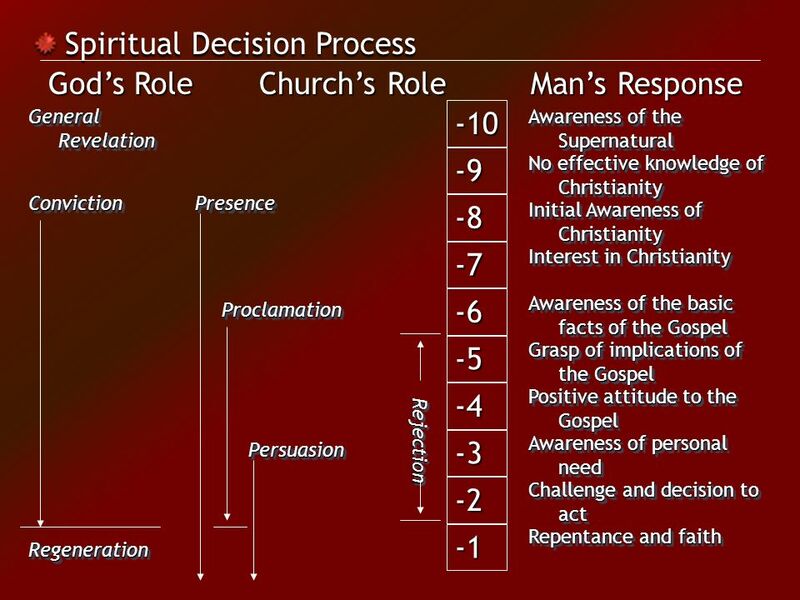 4 Mark 16:15 - 16 15 And then he told them, “Go into all the world and preach the Good News to everyone. 16 Anyone who believes and is baptized will be saved. But anyone who refuses to believe will be condemned. Mark 16:15 - 16 15 And then he told them, “Go into all the world and preach the Good News to everyone. 16 Anyone who believes and is baptized will be saved. 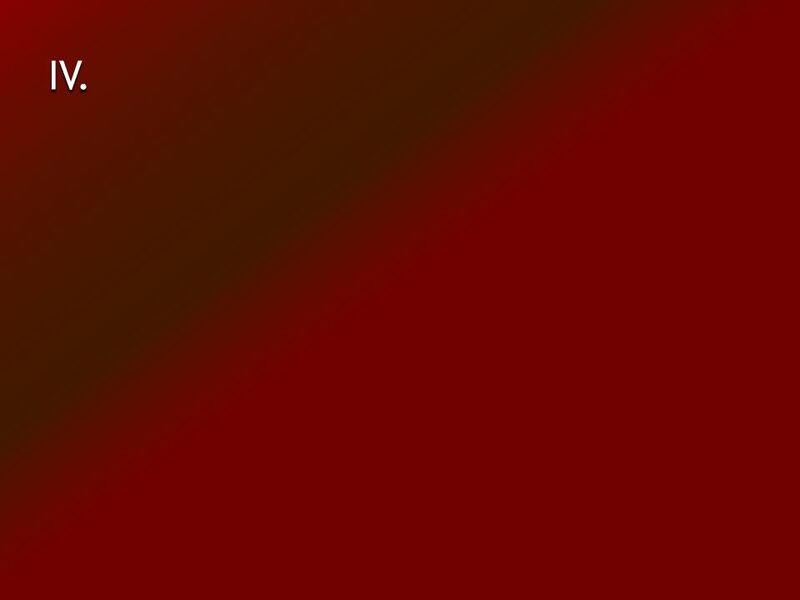 But anyone who refuses to believe will be condemned. 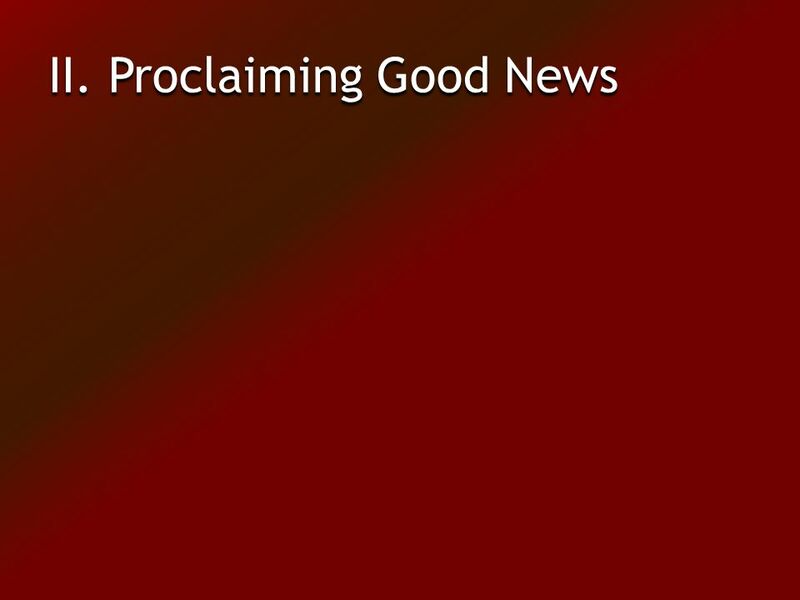 Romans 1:16 For I am not ashamed of this Good News about Christ. It is the power of God at work, saving everyone who believes—the Jew first and also the Gentile. 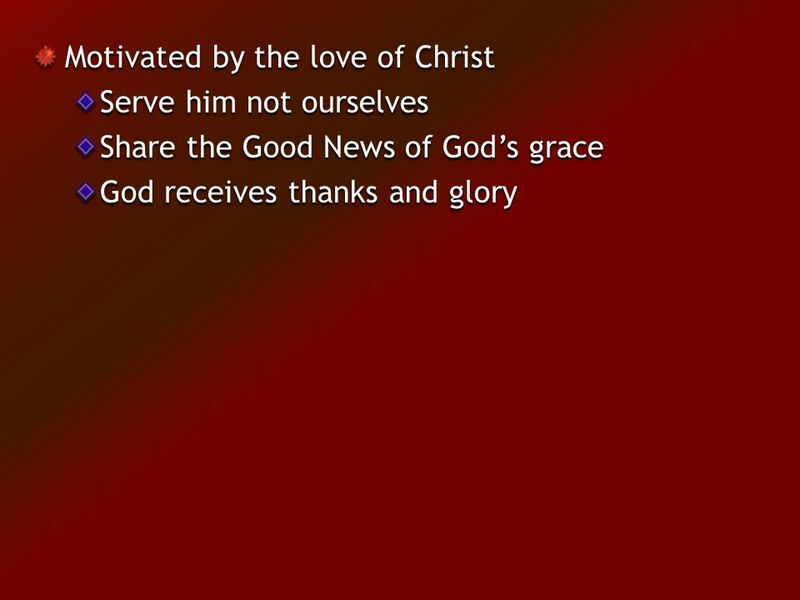 Download ppt "Loving Others - Witness Living For Christ Series." can i know for sure if i have a relationship with god? Thanks for your Prayers Reflections. BE THANKFUL FOR THE BUTS AND THE YETS WE HAVE IN JESUS! 2 Corinthians. Knowing Christ Strengthening the Congregation The Basics For This Class 1.The church is a FAMILY. 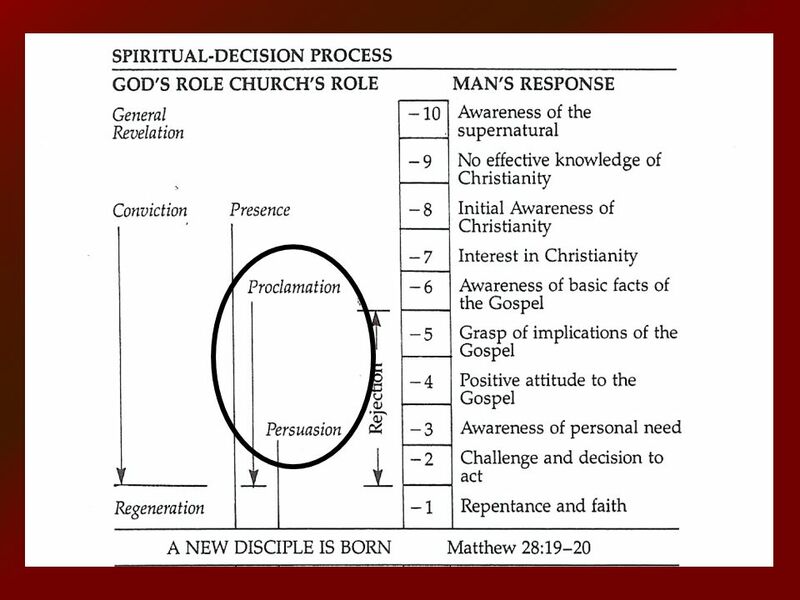 2.God expects you to be A MEMBER of a church family. 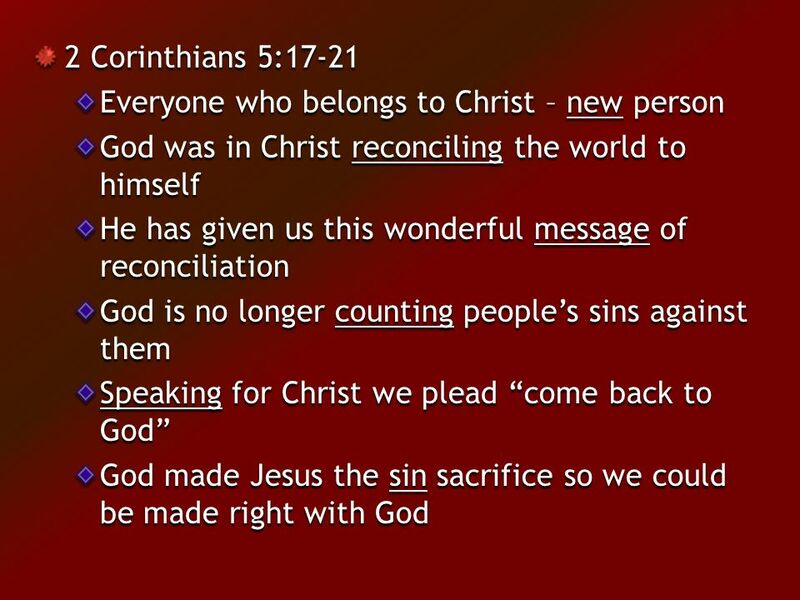 The Christian and Baptism Lesson 16. 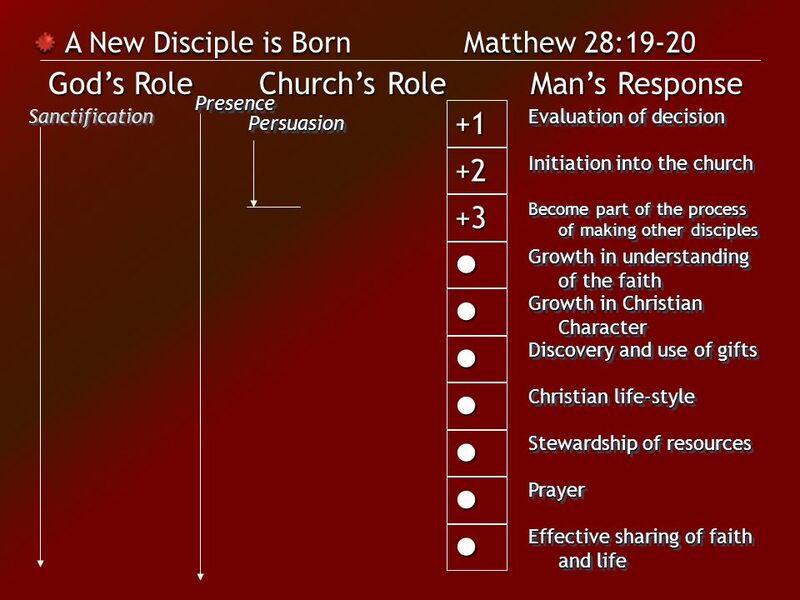 Matthew 28:19 Therefore go and make disciples of all nations, baptizing them in the name of the Father and of the. 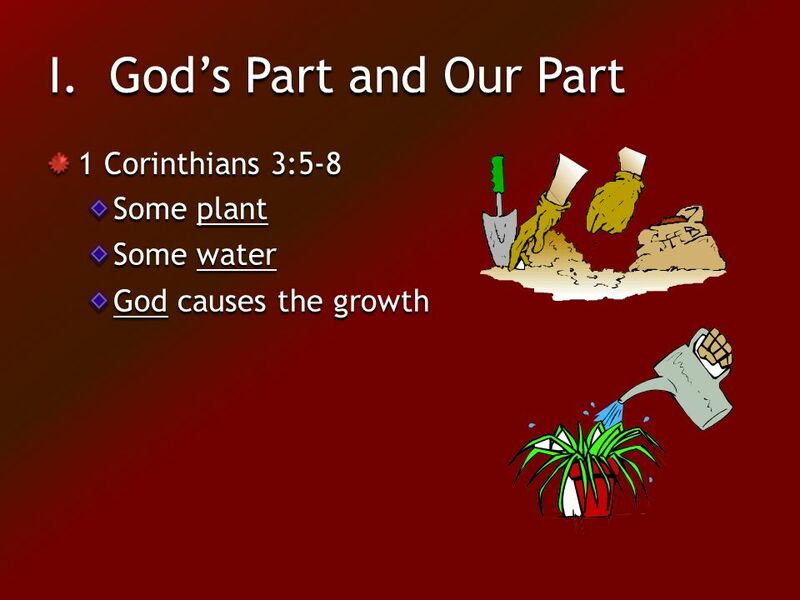 Global Family For now we are all children of God through faith in Jesus Christ, and we who have been baptized into union with Christ are enveloped by Him. After his suffering, he presented himself to them and gave many convincing proofs that he was alive.  He appeared to them over a period of forty days and. How to Have Beautiful Feet Romans 10:8-15. Consumerism Democracy Religious Evolution Mohammed. Matthew 28:16-20 Then the eleven disciples went to Galilee, to the mountain where Jesus had told them to go. When they saw him, they worshiped him; but. How Can I Know that I Belong to God? 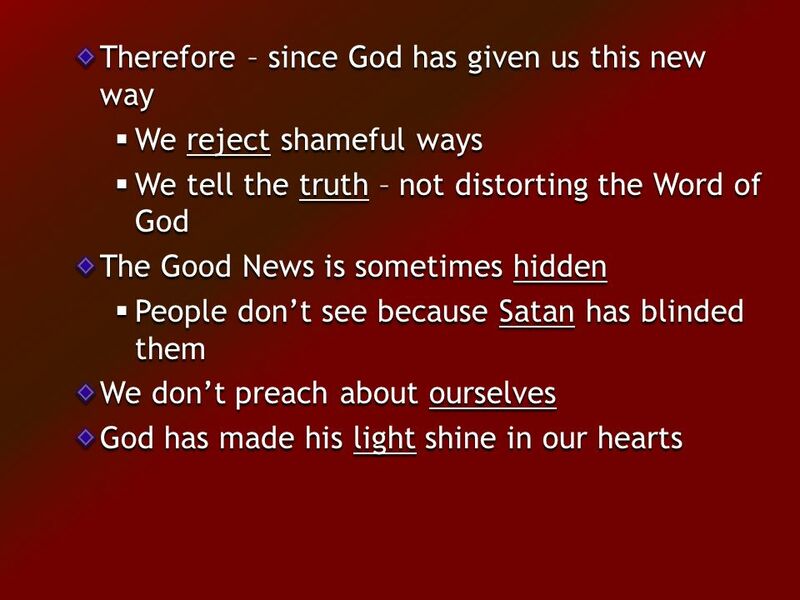 The Light God Is Light 1 John 1:5 Light On the Scene John 1:1-14 Follow Me in Light John 8:12. 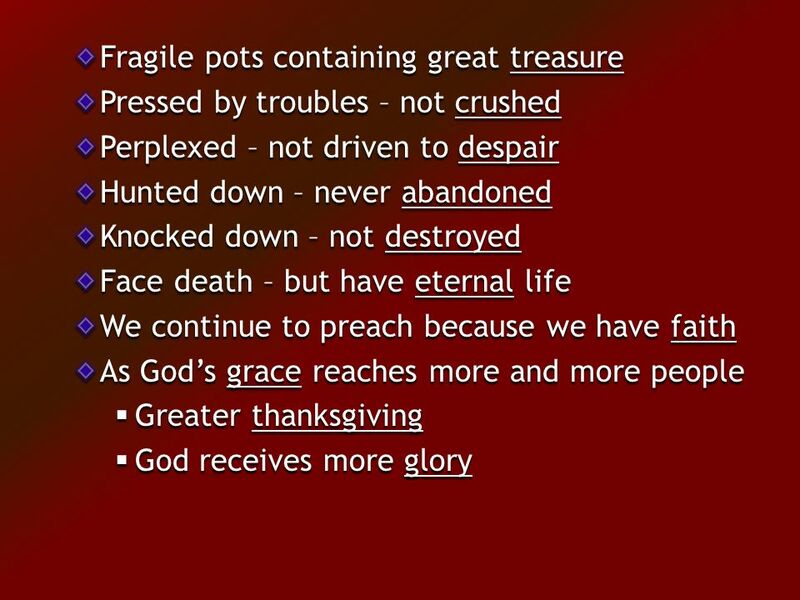 Clay Jars, Great Glory Second Corinthians 4:7-18. People lose heart when they lose sight of Jesus. 17 Now the Lord is the Spirit, and where the Spirit of the Lord is, there is freedom. 18 And we, who. 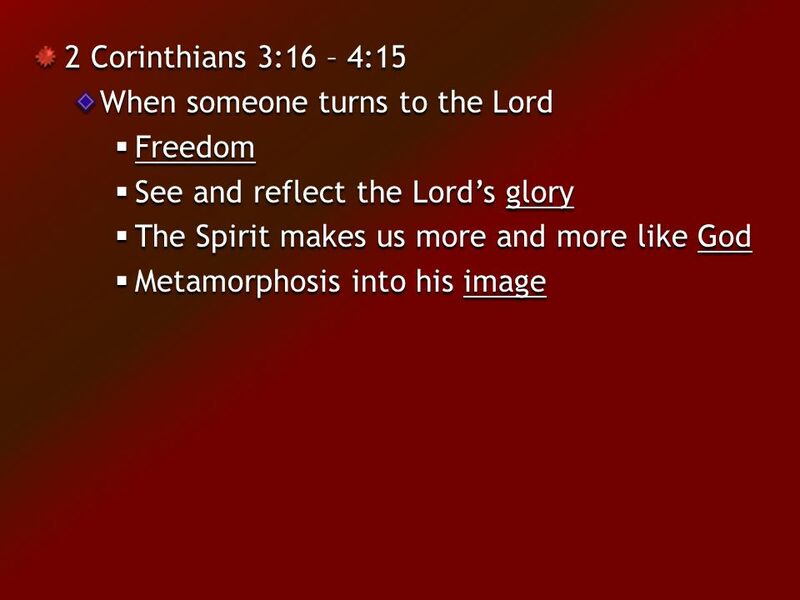 1 Corinthians 9: Corinthians 9:19-23 – 19For though I am free from all, I have made myself a servant to all, that I might win more of them. 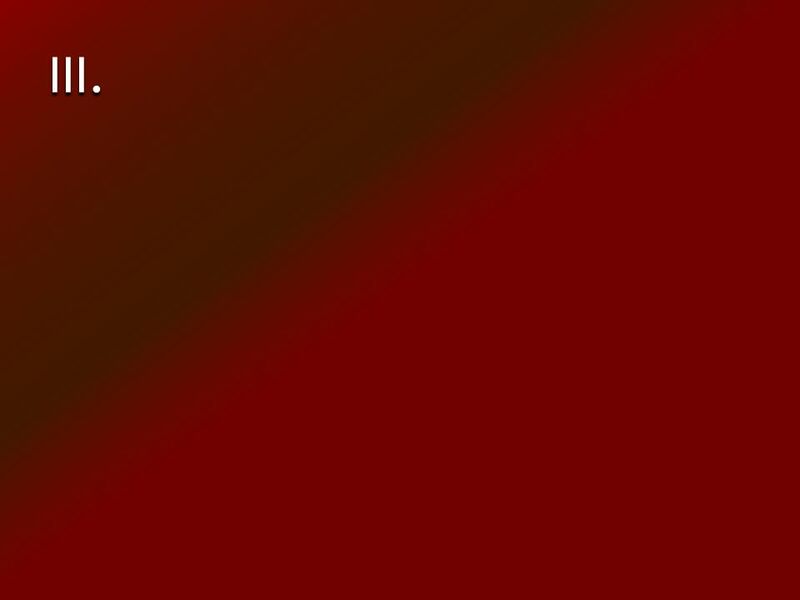 20To. ALIGNMENT. 2 CORiNTHiANS 3:12-15 Therefore, since we have such a hope, we are very bold. We are not like Moses, who would put a veil over his face to. “Preach the word! Be ready in season and out of season. 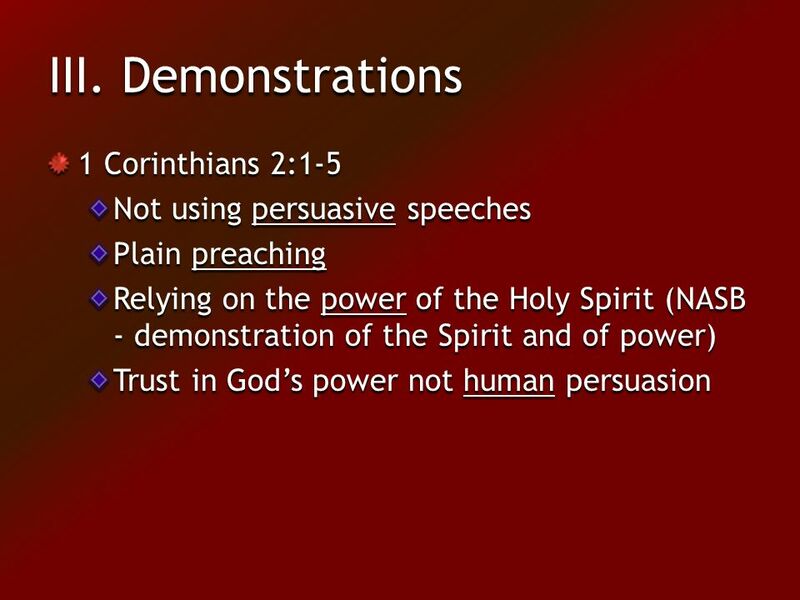 Convince, rebuke, exhort with all long- suffering and teaching.” (2 Timothy 4:2) “For since, in. GOD’S PLAN OF SALVATION. 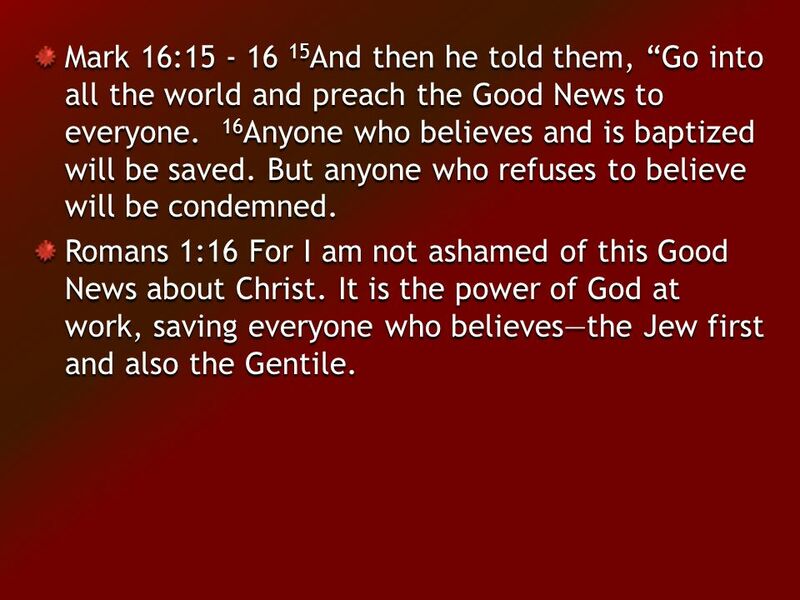 God’s Plan of Salvation God Demonstrates His Holiness Romans 1:16-17 All have sinned and need the gospel 1:18-3:20 Gentiles 1:18-32.